Cornerstone OB-GYN is proud to offer expecting mothers and fathers the opportunity to bond with their baby prior to delivery. Our state-of-the-art 4D ultrasound system combines 3D imagery with enhanced physical effects that enable you to see your baby's movements as they happen. 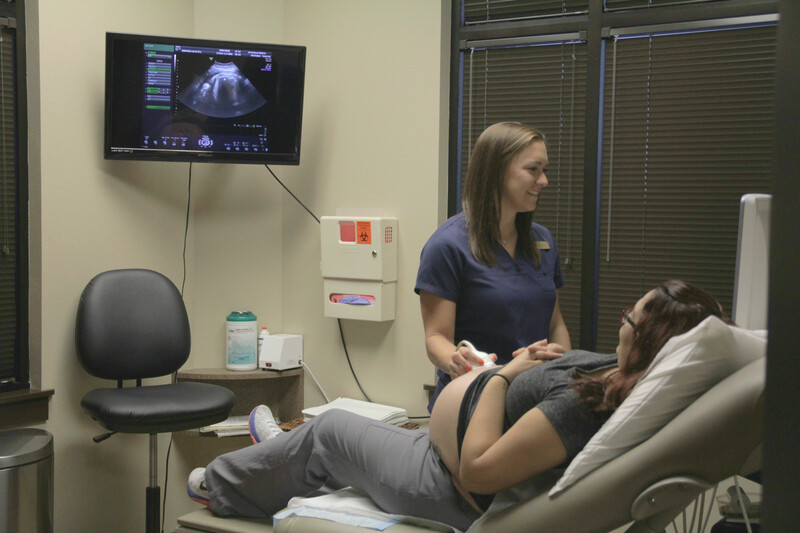 Our experienced, professional and caring ultrasound technicians will make seeing your baby's face for the first time an experience that will truly touch your heart. The images captured during this session depend on the gestational age, position, amount of fluid, and the mother’s condition. We will make every effort possible to obtain the best possible images, however we cannot guarantee your baby will cooperate. We can guarantee an exciting and memorable experience for everyone involved. 3D allows you to see the width, height, and depth of images. 4D allows a 3-dimensional picture in real time. This allows you to see your baby moving inside the womb. You will be able to see your babies’ expressions such as yawning, sucking their fingers, and smiling. 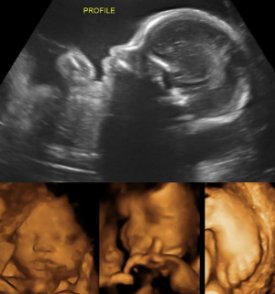 We recommend having your 3D/4D ultrasound done between 26 and 32 weeks of gestation. After 32 weeks of gestation you have an increased risk that the baby has descended into the pelvis and face images become almost impossible to obtain.